Contains two strains of safe bacteria to support your gut. 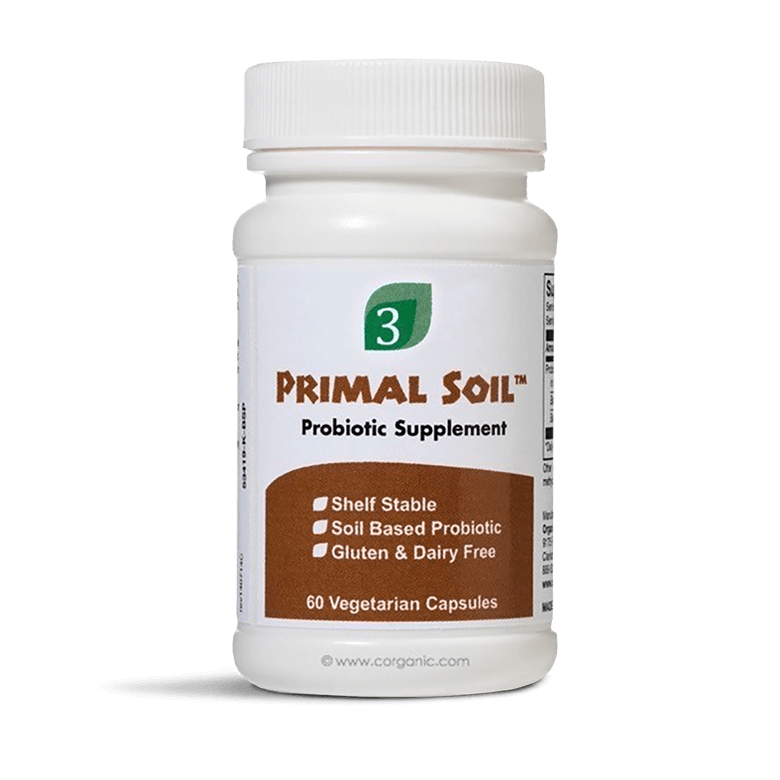 Primal Soil™ is a specialty probiotic for people who want the benefits of a soil-based probiotic in a safe form. It may enhance the effects of other probiotics such as Primal Gut™. Primal Soil contains two strains of bacteria: Bacillus Coagulans and Bacillas Subtilas. These are used to promote favourable balance of intestinal organisms, produce short-chain fatty acids to nourish and strengthen the colon, and assist individuals with diarrhoea including antibiotic associated diarrhoea. Primal Soil is only for short-term use (three months or less). Unlike other bacteria found in the healthy gut, soil-based bacteria is not designed to be a large part of the microflora – they do not replicate in the gut and reside for up to seven days after consumption. No not take if you are critically ill.
Take one capsule daily or as directed by a health professional. Capsules may be pulled apart and contents taken separately. Free from milk/casein, eggs, fish, shellfish, tree nuts, peanuts, wheat/gluten, corn, yeast and soybeans. Contains no artificial colours, flavours or preservatives.